Hate doing the laundry? Burgeoning menswear firm Wool & Prince claims that its wool-based dress shirts stay fresh for nearly 100 days at a stretch without washing or dry-cleaning. While the idea of wearing the same duds for more than a few days might make most people's skin crawl—sweat, spills, and air pollution are bound to make even the toughest material go rank before long—the Brooklyn-based startup says its garments resist odor so naturally that even the most vigorous of activities will leave you fresher than a daisy. The secret, according to the company, lies in its patented "Cotton-Soft" fine wool shirting. Wool, the founders say, resists wrinkles because it has a natural crimp that helps it maintain its shape. The fiber also reduces the opportunity for odors to develop because it efficiently wicks sweat into the air. Sheep’s clothes, per Wool & Prince’s research, is a natural insulator that keeps bodies warm in winter yet cool in summer. Wool doesn’t require ironing, either, which means you can throw it in your bag without worrying about it getting crumpled. Bishop and company developed a fit they say is comparable to a J.Crew Tailored Fit or Brooks Brothers Slim Fit shirt, to be worn tucked or untucked. Now the label just needs the seed money the place a minimum order of 300 shirts and 600 yards of fabric at a factory and mill in Shanghai. It appears, however, that the demand for no-maintenance threads is bigger than Wool & Prince anticipated. With 19 days left to go on its Kickstarter, the company has received more than 10 times its initial funding goal of $30,000. Limited quantities of its shirts are still available at a pre-order price of $98 apiece, but move fast. 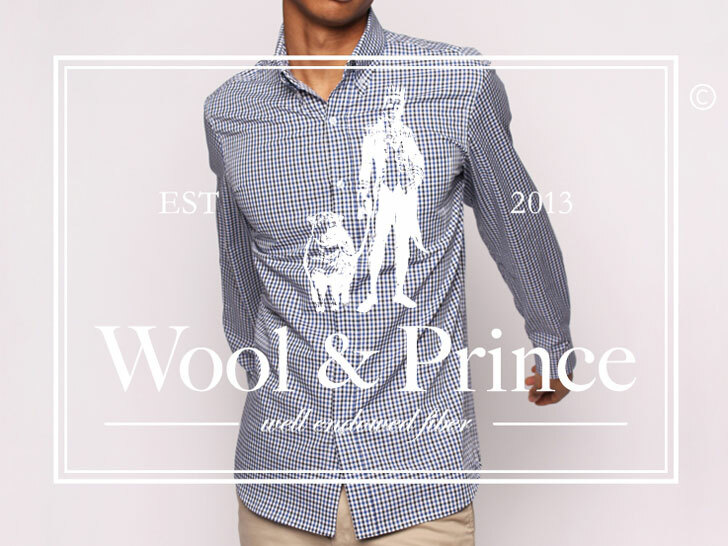 At press time, only 127 of the 500 items Wool & Prince has earmarked remain up for grabs. Sheep's clothes, per Wool & Prince's research, is a natural insulator that keeps bodies warm in winter yet cool in summer. Studies conducted at both the Polytechnic Institute of Wales and the Hohenstein Institute in Germany have shown that "sleeping with untreated natural wool actually slows the heart rate and helps regulate body temperature, making for a more comfortable, more refreshing sleep." To test out the fabric's properties, Wool & Prince gave various wool shirts to 15 "field testers" around the world. "They did everything from backpacking in the Andes to dancing in 'Tropical' NYC clubs," says Mac Bishop, one of the masterminds behind the brand. "The no-wrinkle, no-odor properties of wool impressed the testers, but they wanted slimmer fits, work-appropriate patterns, and softer fabrics. So that's what we made!" Now the label just needs the seed money the place a minimum order of 300 shirts and 600 yards of fabric at a factory and mill in Shanghai.